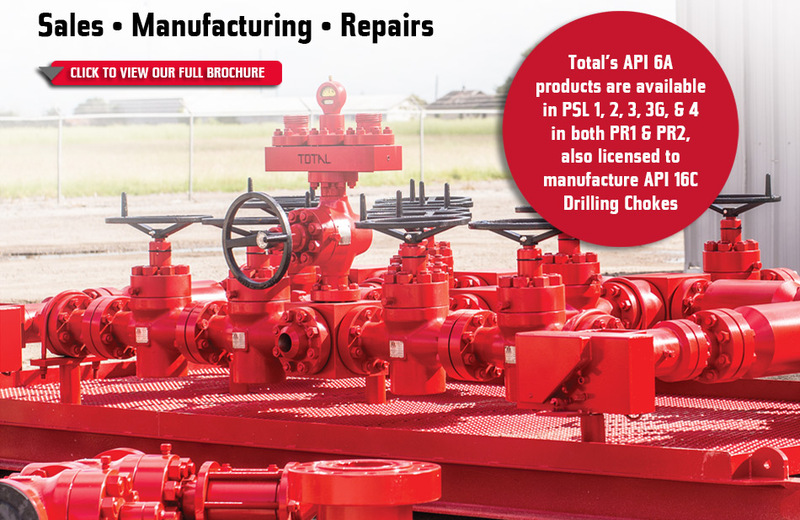 Strategically located in South Texas, Total Oilfield Equipment & Supply, LLC provides pressure control equipment to Drilling Contractors, Rental Tool Companies and Wellhead Companies throughout North America and to international markets. Products and services include new manufactured pressure control equipment, remanufactured equipment and repair services. Key products include but are not limited to; choke manifold assemblies, kill line valve assemblies, manually and hydraulically operated gate valves, mud valves, check valves, hydraulic, adjustable and positive chokes, drilling spools, spacer spools, adapter spools, riser spools, tees, crosses, ells, weld neck flanges, blind flanges, target flanges, adapter flanges, companion flanges, and replacement parts.